Lucy D. Briand lives in Ottawa, Canada with her comic book fanatic husband and her nonchalant Siamese cat. 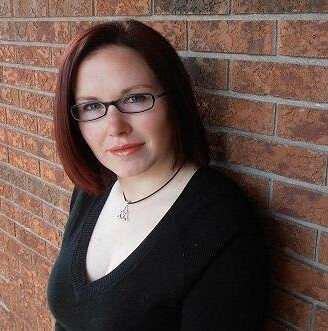 By day she works full time as a public servant for the Government of Canada, but by night her creative mind takes over and conjures up young adult gearhead romance stories with supernatural twists. When not working, reading, writing, or watching way too much TV, Lucy likes to cosplay, attend ComicCons, go on road trips to Walt Disney World, and play ridiculous amounts of board games. She’s a geek to the core but is also a huge NASCAR Cup fan. Lucy is represented by Brittany Booker Carter of The Booker Albert Literary Agency. She is the author of the recently released Magnetic Shift.